We all know that certain someone whose skin exudes flawless radiance we could only admire and envy from afar. Truth be told, we all have that glow potential—we just don’t necessarily know how to give our skin the best care it needs. While genetic factors may mean that our skin is predisposed to certain conditions like acne, pigmentation etc., we can still achieve healthy, glowing complexion when armed with the basic knowledge of making the right choices for our skin. Before we dive into what is generally considered the ‘right’ skincare regime, it is critical to understand your current skin condition. Many people do not have a good understanding of their skin type, resulting in poor decisions when choosing beauty treatments and skincare products. The usage of unsuitable treatments and products may also aggravate existing underlying problems that your skin has. It is therefore absolutely necessary for you to know your skin type to enjoy the full benefits of your beauty treatments and products. Essentially, there are five skin type categories: Normal, Oily, Dry, Combination and Sensitive. 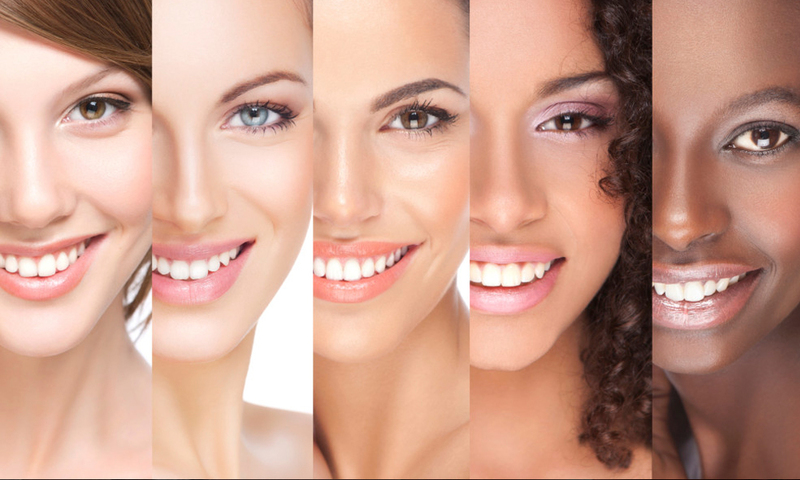 Each skin type has unique characteristics and require specific treatments and/or products. Your skin is normal when your glands produce just the right amount of sebum and sweat (Lucky you!). Characteristics of Normal Skin: clear, soft & smooth texture, supple, well hydrated, good skin elasticity, glowing, rosy complexion indicative of good circulation. All in all, this is the skin type with minimal care needed: Cleanser, Moisturiser and Sunscreen. The Estetica ést.lab SunShield SPF 50 for an all-rounded UVA + UVB protection. It contains Vitamins C and E for brightening and anti-ageing goodness too! Oily skin is the most common skin type amongst teenagers. Characteristics of Oily Skin: looks and feels greasy, thick and coarse texture, enlarged pores, frequent breakouts, dull complexion. Oily skin can be a challenge to deal with. You need to cleanse your skin daily with a gentle cleanser as using harsh products will strip your skin’s natural protective barrier which will then stimulate your skin to produce more oil (Eeeeks!). Do you know that oily skin may also appear dry? Too much sebum production can impair the skin’s outer layer. When pores become clogged, the oil is unable to reach the outer layer to lubricate the skin. Estetica ést.lab PurClear Normalizing Cream to control excessive sebum production and maintain pH balance for that matte finish on your skin! Dry skin is the bane of the working-all-day-in-air-conditioning office crowd. Characteristics of Dry Skin: looks sallow, flaky, feels tight and uncomfortable after cleansing, wrinkles and expression lines develop easily. It is also more prone to premature aging, hyper-pigmentation and hyper-sensitivity. One upside is that your pores are fine and almost invisible. With proper skin care, it is not difficult to battle this dryness and achieve a well hydrated skin. Estetica ést.lab ActivCalm Hyalusol HA+ Serum which contains a high concentration of hyaluronic acid to deeply hydrate your skin for that bouncy suppleness! Most people have combination skin type: normal/oily, normal/dry, oily/sensitive, dry/sensitive. The most common combination skin is oily in the T-zone (forehead, nose and chin) and dryness everywhere else. Combination skin is more complicated to treat due to the different treatments and products required for different problem areas. Estetica Dual Ampoule Facial, that customises 2 different ampoules (high conc. treatment essence) for different parts of your face to ensure that your skin needs are duly met. Lately, we’ve seen an increase in the number of urbanites with sensitive skin condition, attributed to the rise of air pollution and internal stress factors. Characteristics of Sensitive Skin: thin and finely textured, may flush easily from temperature changes, exposure to sun, wind, cold, chemicals, or any other irritants, more prone to dryness, itchiness and redness. As your skin is highly reactive and delicate, it needs extra care and special attention. Taking care of sensitive skin requires patience and often warrants the use of products marked “hypo-allergenic” and “fragrance-free”. Estetica’s new Sensitive Pro Facial, that restores skin’s self-defence capacity to increase the tolerance threshold of hyper-sensitive skin to external and physiological stressors! Besides proper skincare treatments and products, making the right lifestyle choices can also affect our skin positively (which we will expound on in our future posts so stay tuned!). Now that you are empowered with this new knowledge, it wouldn’t be long before you start exuberating that admirable glow and radiance. If you need further advice on your skin type, feel free to drop by any of our studios for a complimentary skin consultation with our friendly staff. CHEERS! P.S. Look out for our Christmas giveaways in our next post right here!